Understanding permanent magnets / rare earth magnets and how their application can play into the innovative devices of today’s markets is the foundation of our business. At Dexter, our long history of magnetic expertise – including supporting all patent, trademark and license requirements of magnets – allows us to partner with you to deliver the permanent magnet product for your needs. There are a number of major families of permanent magnets available. They range from ferrite, which is low cost and low energy, to rare earth materials, which are more expensive and offer higher performance. 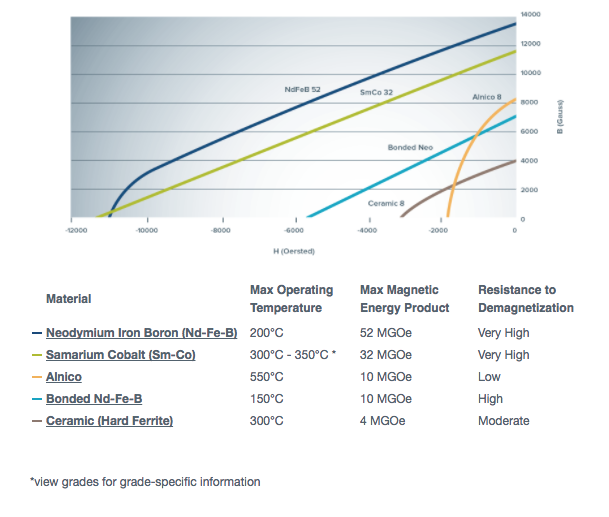 Many factors affect the choice of magnetic material, such as operating temperature, size, weight constraints, environmental concerns and required magnetic energy.